Kaamil offers bidirectional (Two-Way) messaging to selected global destinations. This will allow you to rapidly deploy Two-Way SMS applications in conjunction with Kaamil's mobile termination (MT) services. Integration with Kaamil for bidirectional SMS services is simple, and incoming messages can be routed to your application via HTTP, FTP or SMPP protocols. This means that incoming messages (MO messages) can be managed by your own software or database, giving you full flexibility. There are 3 distinct ways to receive SMS, although Operator Short Codes is the most common and best technical solution for billing. With short codes and virtual mobile numbers, Kaamil receive messages via direct connections into the network SMSCs (SMS centres). However, with SIM card hosting, the messages must be received over the air, and thus this is a lower grade solution. Using Operator Short Codes is the highest inbound volume SMS solution available. Operator short codes are capabable on average of receiving roughly 30 SMS messages per second, per network. This means that a cross network short code would be able to receive over 100 messages per second, assuming that the traffic was shared equally over the networks. Importantly, short codes are network specific. Therefore, short codes can be enabled for only a subset of the available networks. This option is cheaper, but the disadvantage is that only a subset of mobile users will be able to use this service. Enabling a short code across all networks therefore provides a better service. Mobile Originated (MO) SMS messages can be set at different tariff rates on short codes, but this is not available for virtual mobile numbers or SIM cards, where standard rate always applies. This means that mobile phone users can be charged a premium for sending an SMS text message to a short code, which is another possible source of revenue. In fact, short codes are the only way of billing users via Premium SMS, (often known as Reverse Billing). Therefore, using Operator Short Codes is in fact the complete SMS billing solution. Kaamil can host a GSM Terminal with your own SIM card at a secure Kaamil data facility. 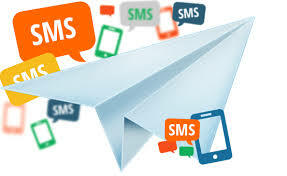 Rather than the message being passed to the Kaamil SMS gateway via direct connections into the operator SMSCs, the message will be received onto the SIM card over the air. This solution is capable of receiving an SMS message every 5 seconds or so, and can send at a rate of 1 message per 4 seconds. As such, it is totally unsuitable for high volume campaigns. However, there are sometimes occasions when SIM card hosting is necessary, especially in countries where direct SMSC connections are not available. Please contact us if you would like Kaamil to host a SIM card for you. One of the key advantages of using Kaamil to Receive SMS for you, is that in addition to the technical interface that we provide, you can have access to either of our hosted web applications for designing two way SMS Services. All Kaamil SMS accounts include access to Web Edition at no extra cost, allowing simple SMS services to be set up and operated without the need for any software development or integration. Functionality includes autoresponses, mailing lists, and pre scheduled SMS sends. However, for clients who want to outsource the development of more complicated messaging services, Kaamil's Content Managment Platform	provides the ability to construct intelligent messaging services from simple "building blocks". Upon seeing an advert somewhere, a user will text in a keyword to a short code, and will then receive a WAP Push message back, which takes them to the WAP site where they can download content. Such content could be ringtones, music files, video clips, java applications, etc. Companies running live competitions can accept answers via SMS, and then respond accordingly. Following the receipt of an SMS containing an email address followed by a message, it can be automatically sent through as an email. Users can text a question to a number, and receive the answer as a billed message.